# 1 – Want to start your day with a smile? Check out this pic of the cutest frog ever! Move over Kermit! Wow! The wood frog has garnered attention by biologists over the last century because of its freeze tolerance. # 2 – And speaking of frogs, this is a great video….very clever and entertaining, with a very important message about “just following the frog”…. # 3 – Yep, requires courage, but think of the pay-off! # 4 – How about a free download from Mind Power MP3?…. Imagine how nice it’ll be to live a life where feelings of peace, calm, and happiness are part of your daily experience …or you can switch on accelerated healing, amazing creativity or profound deep thinking at will. 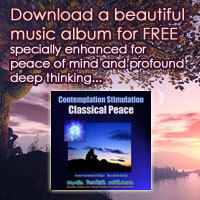 Download a beautiful music album for called ‘Contemplation Stimulation: Classical Peace‘. This album has been specially enhanced to help ‘tune’ your brain into states of blissful peace of mind and profound deep thinking. This album has been specially enhanced to help ‘tune’ your brain into states of blissful peace of mind and profound deep thinking.It is also perfect for boosting creativity, light meditation and enhanced reading. * Experience deep delta, sublime guitar and extreme bliss. # 1 – A great story about how Facebook helped change several people’s lives…. # 3 – Entheos is offering another free on-line event, this time on finding your life’s calling…..
What’s your mission? What’s Your purpose? If you struggle with these big questions – you’re not alone. So, where do you even start to put the pieces together? Growing up, the only resources most of us had were suggestions from my parents, what our peers were doing…and a poorly delivered career test given in high school. This just created gaps between what your brain and heart are telling you. What if you had the resources for finding a career and calling that fulfills your potential and inspires you? We’re talking about how to reach your unique potential, move through fear, enliven your life with authenticity, and discover your passion so that you can find the path you’re meant to be on. # 4 – And check out Healing Rhythms: 15-Steps to Relax, Relieve & Restore, a free two-week online meditation journey…. You can sign up now, and begin today! Each day you will also learn the inspiration and meaning behind that day’s guided meditation, allowing you to take your meditation practice to new, deeper levels and bringing you closer to discovering your true self. After your mentors guide you through that day’s meditation, use the “Daily Journal Questions” to reflect on your experience and your journey. Remember, this enhanced meditation experience is free. # 5 – I’ll have to make this Tip #5 A and B because this quote from Abraham and one of my recent Notes From the Universe so closely entwine…. When it comes to effecting change (big or little, but especially big), manifesting the life of your dreams, or getting that perfect parking space, “thinking” is immeasurably more valuable when used to imagine what you want–the end result–that to figure out how you’re going to get it. Which is why most people have to schlep through big parking lots. Zirah, visualize. Every single day. FYI, put your imagining skills in high gear with visioning, Mind Movies and/or a vision writing workbook! This short video from Sustainable Man titled How Wolves Change Rivers is such a great lesson in how everything is so inter-connected…. # 1 – Wow, this sounds really cool, although I haven’t checked it out yet. It’s a way you can virtually tour the National Museum of History room by room, using your cursor…. # 2 – Another free event from Entheos……about the art of less doing and more living. Yes! Free Yourself of Stress and Be More Effective at Everything! ​Learn how to optimize, automate and outsource everything in your life so you can free up your time and reclaim your mind to do the things you want to do. Find out how to make everything in your life easier from your email inbox, to work/life balance, to optimized and bio-hacked health. The Art of Less Doing and More Living virtual conference runs March 27th – 30th, and you can sign up for free here. # 3 – And here’s another free event. I’m actually not familiar with this man, but the free tele-class sounded like something that might be of interest and value to some people. I’ve actually signed up myself to see what he has to say…. 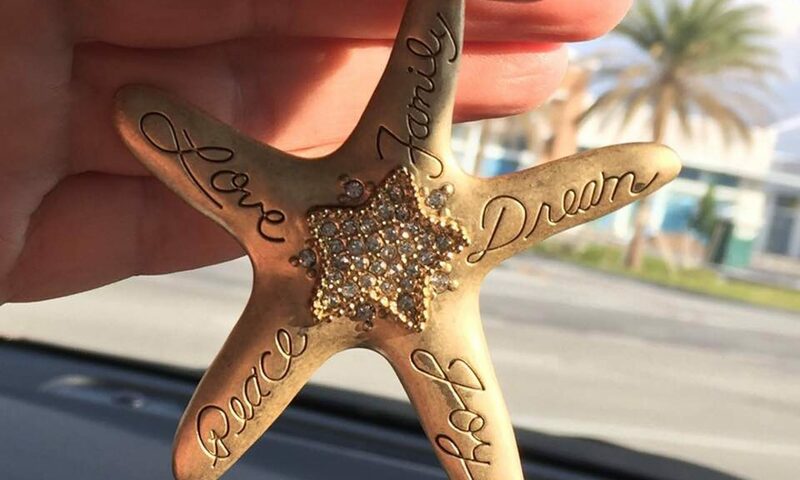 As Pastor Mark Anthony Lord, founder of the Bodhi Spiritual Center in Chicago, teaches, living in a state of joy and appreciation no matter what is not only possible, it is actually the way we are designed to live! In his new book Thou Shall Not Suffer: 7 Steps to a Life of Joy, Mark Anthony Lord recounts the path to his own liberation from suffering and teaches that ending suffering in our lives is not about some sort of intellectual understanding. The shift occurs the moment we focus our attention on the healing power of self-love, acceptance, and a more expanded, deeply personal God. Free Teleclass: Suffer No More – Live a Life of Joy! You can join in next week during a LIVE teleclass with Mark Anthony Lord during which he will share his 7 Steps to Joy and lead a guided meditation to help participants embody this wonderful possibility. # 4 – A little Abraham to end on…. To get your Sunday morning off to a good start :-)…..
# 2 – For you animal lovers, some facts and pics to make you smile…especially the last 3…. # 4 – I have mentioned the Living Clay Company and their free Live Well tele-seminars in previous EME posts, but I just checked out the archive for the March 13th presentation and the transcript seemed to fit nicely with Tip # 3. It’s all about self-actualization and features quotes from Abraham and Conversations With God, a list of Maslow’s self-actualizing characteristics, and more…..
# 5 – And from Abe…. Well, without planning it, today is an ALL PICKS DAY!! And right after coming across that picture on Facebook I came across this. Talk about synchronicity! And then I found this, which I found fascinating and amazing! And this pick is from Children Of The Sun. They are starting a series on finally letting go of the sense of lack that has been keeping/delaying many of us from our birthright of true prosperity. What’s nice about the COTS events, recordings, etc., is they are offered on a donation basis, so they are not out of reach for anyone…. The one Universal Law that expresses; we are always taken care of and provided for, is so simple and profound that it is one of the most challenging truths to embrace. The Divine Presence is the only acting intelligence in your life. The Divine Presence governs all manifestation in your life perfectly. It is the power producing it and the force sustaining it. To know the Divine Presence as your only source of supply is to be instantly prosperous. If you live by these principles, you automatically enter into the truth that brings all freedom. Your life becomes a path of non-stop opening doors. And the final pick for today is this quote/wisdom from Abraham, which works so well with the COTS focus. All we need to know/realize is abundance is our birthright and just allow it to flow to us….